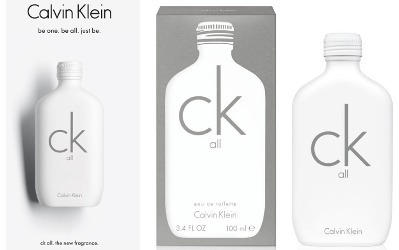 Calvin Klein will launch CK All, a new unisex fragrance, next month. This new fragrance is a blank canvas that represents a modern fluidity, where lines blur beyond any identifying markers and labels are cast aside. The individual is embraced as they stand and inclusivity is above all, there is ck all. The woody amber citrus was developed by perfumers Alberto Morillas and Harry Fremont, who also did the original CK One. The notes include bergamot, mandarin, grapefruit blossom, paradisone (Firmenich molecule; radiant floral), coronal, lily, rhubarb, amber, musk and vetiver. Calvin Klein CK All will be available in 20, 50, 100 and 200 ml Eau de Toilette. Ouch! My mind read “a bland canvas”. I’m actually curious and love the bottle. It’s the same bottle as One and Be, I think? It does look good in white.